We are eagerly seeking quality examples of all British sports and saloon cars. Please contact us if you are considering selling. Outright purchase or commission free sale. 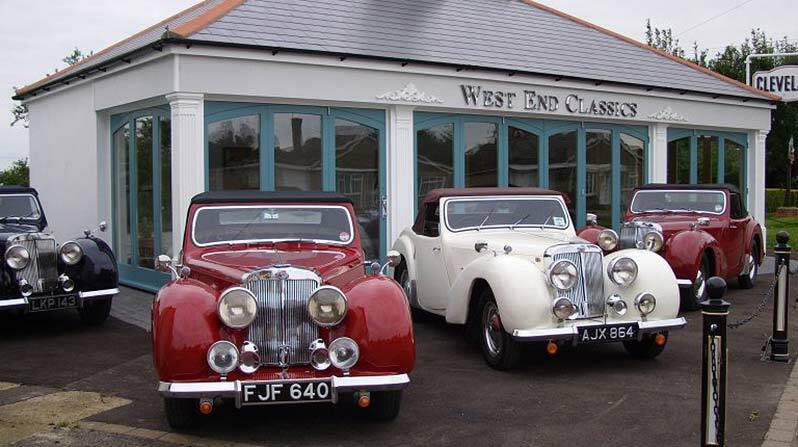 West End Classics is a family run business specialising in the very best restored or fine original British cars and motorcycles from the 1930's to late 60's. Our descriptions are always to be relied upon saving much time and wasted journeys trundling up and down the country looking at miss_described vehicles! if we say its "concourse" then it it is a concourse car. Whether you are thinking of buying a classic car or indeed you would like to sell your car then we can certainly help and advise. We can purchase your car for cash, or should you prefer we can sell your car for you on our highly competitive consignment basis (see selling your car) only the best examples will be considered. Cash/Bankers Draft in full payment upon completion..